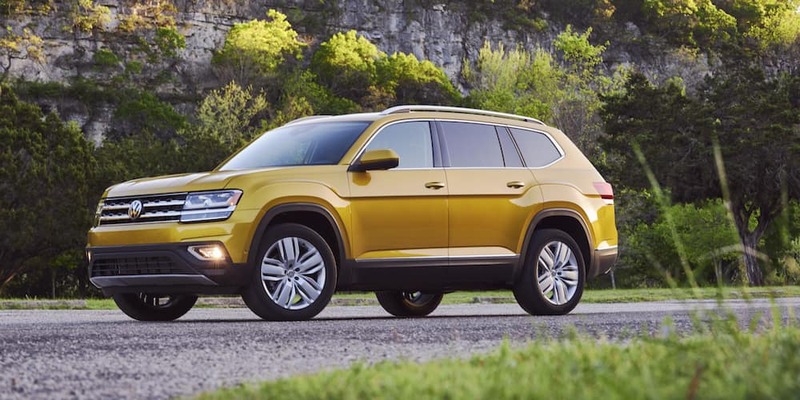 The 2018 Volkswagen Atlas is sure to give Conway area shoppers plenty to enjoy, as it is the first-ever three-row SUV produced by Volkswagen. This groundbreaking SUV is the perfect vehicle for a weekend road trip or even a quick drive up to the corner store. With the power to tow up to 5,000-pounds, nothing has to be left behind. For those drivers who crave the excitement, the 2018 Atlas comes standard with a 2.0L turbo engine which churns out a whopping 235-horsepower. Want more? Don’t worry, the 3.6L V6 engine is made available, giving motorists up to 276-horsepower. Towing capacity of up to 5,000-lbs. 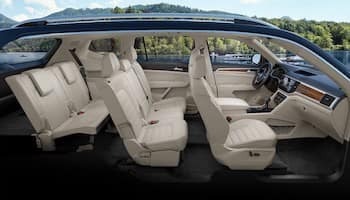 This 2018 SUV was named “Atlas” for a reason. Much like in Greek mythology, this Atlas was built with muscle and complete power, sure to turn the heads of many. Beautifully sculpted, the lines and curves from front to back make it hard to look away. Drivers have the ability to customize their ride, as there are an array of exterior colors to choose from. The interior is just as captivating, as the available panoramic sunroof is a fun and enjoyable feature both the driver and passengers. The three-rows of seating is great, as is the cargo space available. Now, nobody or nothing has to be left behind. The 2018 Atlas isn’t just a boring SUV, it’s actually quite entertaining. From cutting-edge technology to entertainment features, every passenger is sure to have a smile on their face. In the front, drivers and passengers can utilize the available 12.3-inch display as they’d like. From storing driving profiles to controlling the music, this feature keeps drivers connected and amused during every trip. While technology today is impressive, it’s still not as impressive as the amount Benton area shoppers can save with our Volkswagen specials! 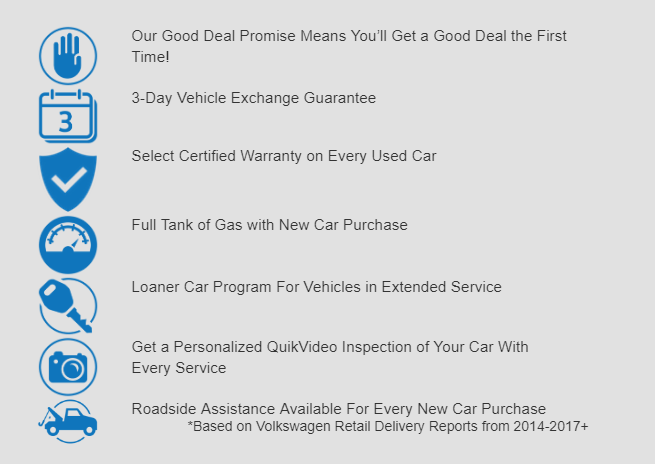 There’s a lot to know about our VW dealership, but one thing is for sure; we care about the safety of our customers. No matter what car they drive off in, we want to make sure they are in good hands at all times. The 2018 Atlas helps us do just that, as it is equipped with many standard and available safety features. Features like Forward Collision Warning, Autonomous Emergency Braking, Pedestrian Monitoring, and Automatic Post-Collision Braking System and Intelligent Crash Response System help drivers remain aware at all times, keeping them out of harm’s way. There are many other features shoppers can utilize to ensure their family remains safe out on the road. 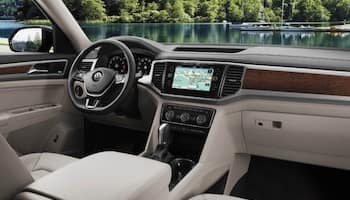 For more information about the 2018 Volkswagen Atlas, contact Owens Murphy Volkswagen at (833) 664-0332 to schedule a test drive.